Attention Deficit Hyperactivity Disorder, or ADHD is now the most prevalent psychiatric illiness of young people in America, affecting approximately 11% of children between the ages of 4-17. This brain/mental health disorder is characterized by inattention, impulsivity and hyperactivity. The cause is unknown, but suspected to be a link between genetic and environmental factors. ADHD affects males almost 3x more than females. Complicating this problem in our healthcare system is both a lack of access (especially in rural areas) and a shortage of child psychiatrists and counselors. 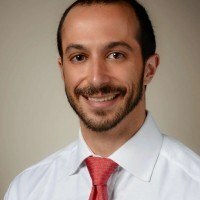 Join our segment today as one of the top child psychiatrists discusses ADHD and his company’s unique approach to provide these services via telehealth.